Samsung has lifted the lid on the Galaxy Grand 2. With a 5.25-inch screen, it's not far off the size of the Galaxy Note 3, yet it promises not to break the bank. Samsung today unveiled the Galaxy Grand 2. It's another one of its big-screen mobiles, this time with a display measuring up at 5.25 inches. That's not far off the size of the humungous Galaxy Note 3, but at a fraction of the price. 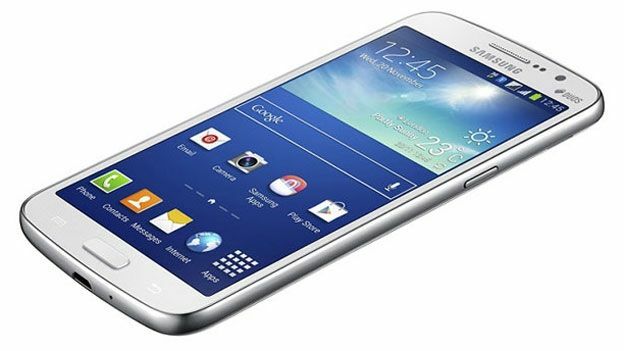 Samsung hasn't announced a price yet for the Galaxy Grand 2, and no retailers have started stocking it. But seeing as the original Galaxy Grand costs around £200 SIM-free, we're expecting it to be somewhere around the same mark. So what kind of specs do you get for that? The screen resolution is a big improvement on the original Grand's. It packs in a 1,280x720-pixel resolution, which is a real step up from its predecessor's 800x480. It only has 8GB of storage, but, unlike the Google Nexus 5, you can bulk that up with microSD cards going up to64GB. There's no stylus, but you do get an 8-megapixel camera on the back, and a 1.9-megapixel front-facer. The processor is quad-core, but only 1.2GHz. Android 4.3 Jelly Bean comes as standard, with no word on if or when it'll get the jump to 4.4 KitKat. It'll be up against some stiff competition this Christmas. The Nexus 5 starts at £295 SIM-free, while the Motorola Moto G is even cheaper, at just £135.